Mission Viejo residents who need to see a dentist for various reasons might sometimes feel nervous. Some individuals don’t do so well with oral treatments, and they may have some trepidation before the procedure gets started. There are a few common questions that they often ask, so today we’ll endeavor to answer some of those queries to put all of your minds at ease. What Sort of Anesthesia Is Used for Dental Extractions? Dental extraction is one of the procedures about which a lot of people feel squeamish. No one in Mission Viejo, CA likes to think about getting one of their teeth pulled; after all, it’s a bit more unpleasant of a procedure than just getting a regular cleaning from your dentist. The fact is, though, in some cases when a tooth has been severely damaged and cannot be saved, extracting it will be the best thing for the patient. Besides, the technology has progressed to the point that a crown can be put in the place of the missing tooth that is a perfect match for the other teeth. No one will ever know that it’s not your real tooth. Those who are afraid of getting a tooth pulled don’t need to worry at all when it comes time for the procedure. A Mission Viejo dentist can use this drug combination to render them calm, easing both body and mind. The process itself will be pain-free. Is a Dry Socket an Infection? A dry socket is not an uncommon ailment, and Mission Viejo dentists deal with it all the time in their patients. But what exactly is a dry socket? Is it the same thing as an infection? Generally speaking, a dry socket could be described as a combination of factors, among them physiological, mechanical, bacterial, and chemical. In that respect, a dry socket can indeed be partially attributed to an infection. Dry sockets can happen after an extraction as the result of dislodging of the vital blood clots that form in empty tooth sockets after an extraction. This condition leaves the nerves and bone exposed and prone to infection. Dry sockets are no fun, but an experienced dentist should have no trouble helping you find a solution if that’s what’s troubling you. Depending on the details of what’s causing yours there are different possible remedies, but you’ll need to consult with your dentist to determine what makes the most sense in your case. Do You Need Anesthesia When You’re Going to Get a Tooth Filled? 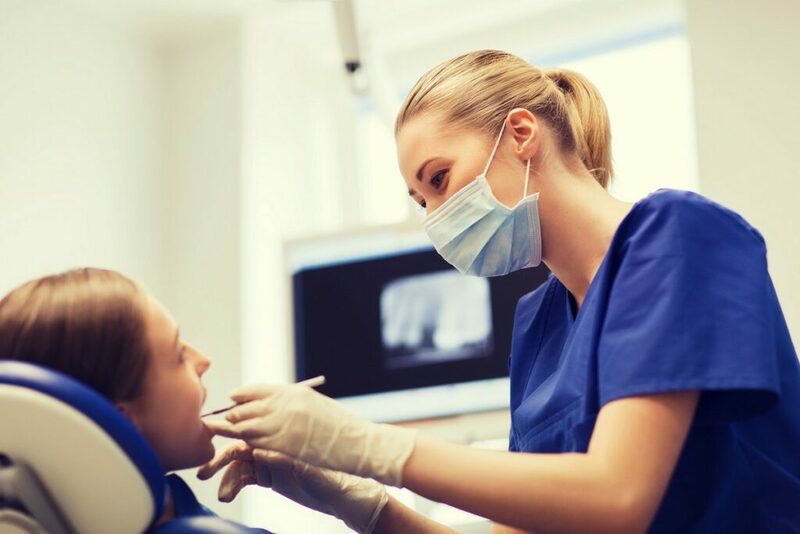 A dental filling is another common procedure that dentists complete every day, but it’s also one of the ones about which many individuals feel a high level of concern. The sound or the look of the drill can be enough to send some people into paroxysms of fright. You don’t need to be afraid, though, as an experienced professional dentist will do their utmost to make sure that you’re comfortable as they install your filling. 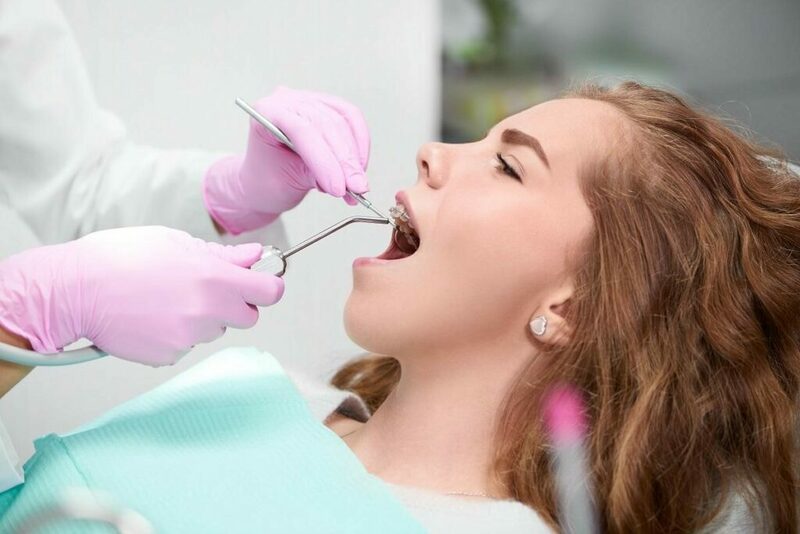 When a dentist needs to drill into your tooth, they have to give you more than a topical anesthetic, because otherwise, you might still feel some pain. Because of that, you can expect to get something in addition to Novacaine. If you have any concerns about what your Mission Viejo dentist is going to give you, talk to them about it. They’ll be happy to address any fears that you have before they get started. A root canal isn’t going to be pleasant, but with modern tools and drugs that are available, it should be tolerable for you. But how long does it take, and how long is the recovery process? You can expect a root canal to take about 90 minutes. Sometimes that’s all there is to it, and in other cases, it can be two appointments, each one clocking in at about 90 minutes. You’ll be under anesthetic each time, though, so you’re guaranteed to feel no pain provided that you go through an accredited oral surgeon in Mission Viejo CA. A root canal relieves the pain due to removal of an infection. The patient will begin to recover as soon as the root canal takes place. The patient might feel some soreness for a day or so after the procedure, but then they should recover swiftly. That’s why if you fear that you might need a root canal then you should see a dentist sooner rather than later to get some advice. It does you no good to put it off. How Old Should You Be to Get Braces? Many young people need braces, and that’s another one of the common reasons to seek out the help of a Mission Viejo dentist. But how old do children have to be before they can start corrective treatment for dental problems? There is no exact age for children to begin orthodontic treatment, but the American Association of Orthodontics recommends visiting orthodontist for first time around age seven. By that point, kids will have a mixture of baby and adult teeth. This will make is easier for the orthodontist to diagnose and correct tooth and jaw problems sooner, and hopefully without surgery. If a child does need braces, they can usually expect to have them on for a couple of years, though this varies on a case-by-case basis. Now you have answers to some of the more common questions that both kids and adults ask of their dentists. Remember that the best thing that you can do to be sure that your experience with a dentist in Mission Viejo or Laguna Niguel is a happy one is to read up on their practice and see what kind of reviews they’ve gotten. If you see a lot of positive feedback, then you know this practitioner cares about their patients, and you’ll likely get the results you want. If the reviews are negative, then you may wish to look into some other options. There are lots of dental practitioners out there, and you deserve to go to one where you’ll have as pleasant and pain-free of an experience as you can. Are You Looking for Relief in Orange County? If you are tired of looking for the best dentist in Orange County, we can help. Our highly trained family and cosmetic dentists and specialists have been serving Mission Viejo and all neighboring cities, and we have developed an impeccable reputation for successful, effective and compassionate care. 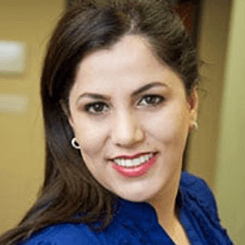 What is the Right Method for Selecting a Cosmetic Dentist in Mission Viejo? You may already have a dentist in Mission Viejo, CA to whom you go for regular cleanings. But if you are concerned with getting a whiter, brighter, and more natural smile for the sake of appearances, it might well be time for you to seek out a cosmetic dentist in Mission Viejo as well. What is the difference between a so-called regular dentist and a cosmetic one? You can look at it in this way. Both a regular and a cosmetic dentist have minimum training required to do simple treatment like fill a cavity. A cosmetic dentist, however, will have extensive skills and training to make aesthetically appealing solution for your filling such as using composite filling that comes as close as possible to perfectly matching the patient’s tooth color and natural look. It could be stated that a cosmetic dentist will do their utmost to try and make the physical appearance of your mouth and teeth the best that they can be. Why Might You Seek Out a Cosmetic Dentist? When you hear that description, you might feel that residents of Mission Viejo who would seek out a cosmetic dentist are vain. In reality, though, some people rely on their appearances for their livelihood. If their smile is not bright and the color of all their teeth perfectly matched to one another, then they might miss out on personal or business opportunities. For instance, if you’re a recognizable public figure like the spokesperson for a business, then your physical appearance matters a great deal. Perhaps you often need to get up in front of large groups of people and show off your pearly whites. You might appear on talk shows a lot where your teeth are going to visible across millions of TV screens in high definition. Perhaps you’re the CEO of a company, and you’re often in lots of high-profile meetings with foreign clients, or you might be a politician, or you’re simply a parent of a child and want to have a bright smile in front of your child’s friends and teachers. Any of these individuals trade on their looks, and that includes their teeth. A dental problem for them must be taken seriously, and that includes aesthetic issues. For the residents of Mission Viejo, CA, who already have a regular dentist but who need a cosmetic specialist for a particular issue, locating the best available is going to be a priority. How can you track down the right practitioner for you? One thing that you can do is to look at online reviews. We live in an era where there is more information available than ever regarding any company or individual who administers or sells goods or services. You can look at the reviews for cosmetic dentists on Google, Yelp, Bing, and similar sites and search engines. Look at how highly the dentists are rated, but also read some of the individual reviews and comments to get a better assessment of whether you would like to become a patient of this practitioner. It’s also helpful to ask any friends or relatives if they have gone to a cosmetic dentist in Mission Viejo, CA recently. Getting a recommendation from someone you trust to back up what you read online is likely to make you feel more confident about the selection you make. You can also ask your first-hand source about things like the temperament of the dentist that might not be apparent based on the online reviews you read. Next, you'll need to go and see the facility of the cosmetic dentist in Mission Viejo whom you have selected. Take careful note of things like how friendly the receptionist is. See if they take your insurance or whether you will have to pay for anything out of pocket. Assess the cleanliness of the reception area, and whether there are recent magazines for you to read while you wait or whether if the area is modern, relaxing, welcoming. Is it a small, old looking, and dark office or vibrant and airy ambient with large window to bring natural light that give you a sense of soothing and relaxation? All these small details will help you form an accurate idea in your mind of how reputable this practice is. When the time comes for you to sit down with the cosmetic dentist, ask them about their credentials. Ask how long they've been in practice, and whether there are any particular procedures in which they specialize. Then you can explain what brings you to them and hear how they would go about fixing the problem. Find out if cosmetic dentist has advanced training, experience, and continuing education to accommodate each patient’s exceptional situation and needs. Find out if the dentist treats each case diligently with utmost priority without compromising patient safety or satisfaction. Don’t choose a dentist who try not to talk about all of your problems because that dentist is most likely not qualified to do the work or do not have the proper equipment and technology. As matter of fact, choose a general and cosmetic dentist who has proper qualifications and has a hi-tech dental office that offer all American Board-Certified Specialists such as Endodontics, Periodontics, Oral Surgeon, and Orthodontics. Throughout the meeting, try to judge whether or not you would feel safe entrusting yourself to this person’s care. You don’t need to establish some deep rapport with your dentist, but you would at least like them to be friendly and accommodating toward you. If you and the dentist you chose seem to be hitting it off and you feel confident that they can do the work you need, you can schedule an appointment and move forward. Cosmetic dentistry is something that lots of people need, and you deserve someone who has a significant level of expertise. It’s probably best not to put yourself in the hands of someone who just got their license. They might do a fine job, but getting the work done by someone who has years of experience will likely make you feel more confident that they are going to make your smile unique and attractive the way you always wanted. Choose a cosmetic dentist who provides fully-customized and top-notch quality treatment with great care and personal attention for every single patient. Is Your Cosmetic Dentist offering the highest standards and the Latest dental solutions? Trusting the outcome of your cosmetic dental experience is dependent on not only the skills of your dentists, but also the products that they choose to use for your treatment. Make sure they used “Made in USA” products from highly reputable companies. Also make sure their laboratory is local and meet US Dental standards, not outside of USA. Does your Cosmetic Dentist have a Hi-Tech dental office? Choose a cosmetic dentist who has utilized the latest in cutting-edge technology and the best of an infection control in order to provide the best innovative treatment options for you. 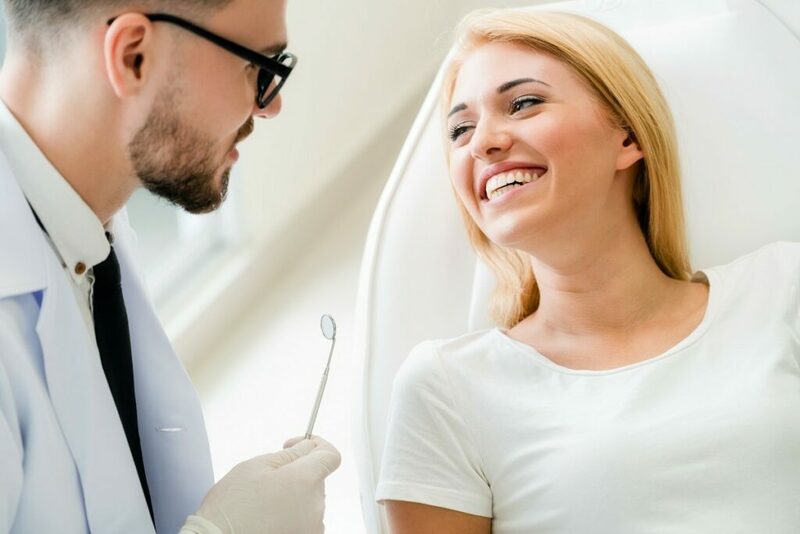 For instance, make sure your cosmetic dentist utilizes in-house 3D CT-Scan, digital X-rays, Digital Impression, Laser Dentistry, Sedation Dentistry, Stem Cell Dentistry (PRF), and Metal-Free Dentistry (Holistic Dentistry) in order to provide the best and most modern diagnoses and treatments for you in the safest and the most convenient way. Does your Cosmetic Dentist Collaborate with other dental Specialists under the same roof? Make sure your cosmetic dentist collaborates with all other top American Board-Certified Specialists in the same office such as Periodontists, Implant Specialists so in case of any need for a dental specialist such as oral surgery you do not have to be referred to another unknown office. In addition, when multiple specialists work in the same office, their close collaboration could help your treatment plans to not include opinions of many doctors, but also be completed with cost-adequacy. Follow this formula, and you should be able to get whatever problem fixed that led you to seek out a cosmetic dentist. You can return to your speaking engagements or whatever else takes up your time with a new sense of confidence and pride in your appearance. When you look your best, you feel that way too, and your smile and the state of your teeth are always going to play a significant part in that. To learn how we can give you a smile that will give you confidence. Please call (949) 364-9600 today for an appointment with an Orange County Top Cosmetic Dentist at Aria Dental in Mission Viejo near Ladera Ranch, Laguna Niguel, Coto De Caza, Irvine, San Juan Capistrano, and Dana Point. The residents of Mission Viejo all want to take the best care of their teeth, and that means brushing, flossing, and using mouthwash regularly. But what about some of the modern aspects of dental care that you might have seen advertised on TV? What about getting braces through the mail, for instance, rather than going to see a trained professional? Should this be regarded as a viable option? We spoke to an orthodontist about that very subject, and here’s what we learned. You might have seen braces by mail advertised at some point, Mission Viejo residents. If so, the ads might have made the process look easy, and they may have pointed out how inexpensive it is as a possible incentive for going in that direction. But is it a good idea? According to the orthodontist to whom we spoke, trying to fix alignment issues and other dental problems by going with a through-the-mail solution is never advisable. Mail order orthodontic treatment is often described as being easier since you can avoid going to see an orthodontist in person. You can wait at home while the corrective trays or any other paraphernalia comes to you, and then you can apply them yourself. You’ll then see your teeth shift into the proper alignment over the next few months. While this sounds good, it's rarely what happens. The problem with corrective orthodontic treatment through the mail is that when you don’t go to see an orthodontist in person, they cannot see the particulars of what needs to be corrected. Orthodontia is not one-size-fits-all by any means. Each person’s mouth is different, and the start of any treatment is going to require the taking of molds. If you’re making those molds at home by yourself, then the likelihood of your making a mistake is high. After all, you haven’t been trained in how to do it as the staff of a dentist in Mission Viejo, CA has been. It is much safer for you to go to an orthodontist and get someone who has been professionally trained to handle this delicate procedure. Your dental work is not something that should be undertaken frivolously just because you want to save a little money. You want it done right, not cheaply. Besides, many dental insurances will help you out with the financial cost, so money isn’t as much of a factor as these braces-at-home companies often make it out to be. When you see an orthodontist, and the two of you discuss what’s happening with your teeth, you can be confident that they have received the proper education and training. That’s because they will have been trained by an accredited institution as approved by the AAO, the American Association of Orthodontists. You should always look for that certification when you’re selecting a corrective dental practitioner. It’s a way for you to be sure that this person will not steer you in the wrong direction. If you get your braces through the mail, you’re not getting that one-on-one, in-person consultation that is so vital. You’re not getting the initial workup, X-rays, and the treatment plan that should be the beginning stages of your getting braces. You’re not getting the individual attention of professional staff. You’re not going to receive the custom-made aligners that should be part of your treatment, and you’re not going to get the follow-up visits for when the bands need to be tightened or other adjustments have to be made. The timeline for mail-order braces will often be something like 3-6 months. It’s rare that someone only needs braces for that long. 1-2 years is usually more likely. The very fact that the two timelines are so different from each other should be a huge red flag for you. Yes, you’d love to be done with your braces faster, but if you rush the process, then it’s highly unlikely you’ll have corrected whatever problems existed. Mission Viejo residents should also understand that to align your bite correctly, the ligaments and bone around the teeth must slowly shift. If this is done too quickly or without the proper monitoring, you can severely and permanently damage your bones, jaw, and teeth. Some companies will even send you rubber bands, called band gaps, which are intended to close the gaps between your teeth. If you apply these bands without the aid of a certified orthodontist, then in some cases you can lose those teeth if the band slips underneath the gum tissue. Wearing your braces for less time sounds appealing, as does paying less for the various stages. But if you go through the mail for these sorts of delicate procedures, you’re probably going to end up in worse shape than you were when you started. Saving a little money by cutting corners is something that you might attempt in other areas of your life, but dental work should be taken seriously, and it’s not the place to be frugal. When you go to an orthodontist in Mission Viejo, CA, you know that you’re going to have a team of trained specialists working on getting you the best results. If you ever have any problem with your braces or if you ever have a question, you can call and speak to someone with whom you have a relationship. If you try to get your braces through the mail, then you’ll be calling a 1-800 number or speaking to someone on a website via live chat who is not most likely dentist. For all you know, that person could be half a world away. They don’t know the particulars of your situation, and they probably don’t care about you very much since they’ve never even met you before. The best thing for you to do if you need braces is to visit our website at www.AriaDentalCare.com. We’ll answer your questions, and we have years of experience customizing and installing braces. Don’t make the mistake of going through the mail for something that should always be done in person. Mission Viejo residents who need dental implants are probably not looking forward to the procedure. Receiving oral care is enough to make some people in Orange County squeamish, and getting dental implants is a bit more complex of an undertaking than a run-of-the-mill cleaning. However, if it’s something that you need, then there is no point in putting it off. If you do, you open up the possibility of your teeth shifting, or other damage occurring that will be more costly to fix the longer you delay. With that in mind, you can take these steps to ensure that the professional in Mission Viejo who you choose to install your dental implants is the best person for the job. The first step that you may wish to take when selecting a specialist to install your dental implants is to ask any friends, family, or coworkers in Mission Viejo if they have any recommendations. It’s great to look at reviews of a dental professional on Yelp, Google, and other places online, but it’s even better if you can speak to someone who has personally used this individual in the past. What you want is some indication that they did the job in a satisfactory manner, and also that their temperament and disposition was acceptable. It’s necessary for the specialist that you choose to have the skills and background to do the procedure, but you also want someone who’s kind and compassionate, especially if you’re nervous about what’s going to be taking place. Next, you’ll want to head to the office in Orange County where you will receive the dental implants. Talk to the staff, and speak to the specialist who will be handling the procedure. What is your impression of them? Do they seem capable and experienced? Do they answer any questions that you have, and do they take your concerns seriously? You’ll also want to talk to them about what kind of insurance they accept, and you’ll need to ascertain what you might be paying for out of pocket. Dental implants can be costly, and you don’t want to have to deal with any unexpected costs once the procedure has already taken place. By doing the necessary research first and going into this event with your eyes wide open, you should be better prepared for what’s going to occur. It’s not likely to be the most pleasant experience in the world, but selecting a genuine professional in Mission Viejo who cares about their patients can make a world of difference. Knowing that you’re working with one of the best oral surgeons available should help to assuage your fears, and you can look forward to your life going forward with your implant. Since the experience level of your oral surgeon does make a difference, it’s wise to seek out an implant specialist who has put in at least a decade in the industry. The periodontists at Aria Dental have more than twenty years of experience, and they are all American Board-Certified. They’ve done thousands of procedures and had great results, so you can be confident that when they’re finished, your smile will have improved exponentially. For more information, please call us at (949) 364- 9600 or visit our website https://www.ariadentalcare.com/all-about-implants.